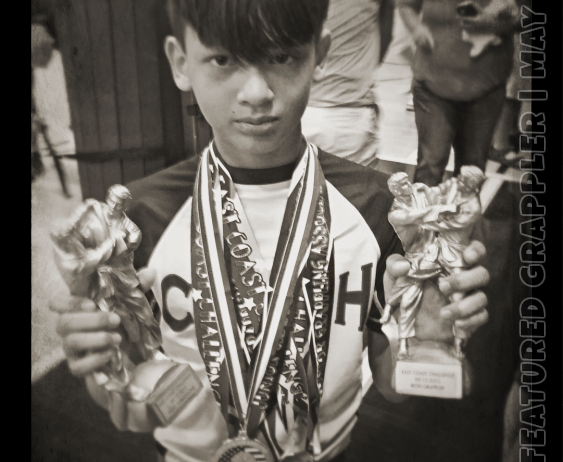 Jhondy has been an all-star at the Junior Grappling Association tournaments for many years. We are always excited to see what he'll accomplish next. He has won the coveted Iron Grappler and Most Submissions awards multiple times and continues to seek new challenges and opportunities in the sport of Submission Grappling. A true sportsman and testimony to the positive aspects of the sport, his school and upbringing. We are pleased to feature him this month of May 2016, and look forward to seeing him compete in the Virginia Spring Showdown coming up on May 21st, 2016 in Woodbridge, VA. Many thanks to his family and Clinch Academy for the support of Junior Grappling.